In my previous post, I shared how our patients have developed trust in our practice, which is why they continue to come to us for our dental services. Why Patients Choose Healthy Smiles Dental Group? In this post, I’ll share a few other reasons I have found from my surveys about why our patients choose Healthy Smiles Dental Group as their dentists of choice. The second most common reason why I believe patients choose our practice is that we’re very big on educating our patients. We use a lot of advanced technology, such as conducting 3D scans and creating models of the patient’s mouth even before the treatment begins – we have actually 3 scanners in the practice which we use to take actual photographs. We also utilise 3D x-rays, in-house billing and 3D CAD/CAM technology. These, together with all the other technology like the LCD screens on the ceilings, educational videos, and tutorials with our patients, is all about making sure our patients are fully educated as to what’s happening in their mouth. Not only does this make them feel more comfortable, it helps them deal with their tooth problems much better, and that over time helps them make good decisions about their dental health. Our efficiency is the third reason why patients have said they choose our practice. Often the feedback we get is that the waiting time is barely five minutes, and our being timely actually helps reduce patient anxiety immediately. A few patients have even remarked that certain other dentist visits involved sitting in the waiting room for an hour listening to screams coming out of the rooms, which obviously only serves to increase anxiety and mistrust in the dentist. At Healthy Smiles, we believe every patient’s time is important, and we ensure that we run on schedule as far as possible. If on occasion we are unable to, we immediately let our patients know not to come in if we’re running late. This is in fact a part of our policy, and we also ensure that our patients are given as much time as they need when they’re in the dental chair. The fourth reason patients tell us that they chose our practice is because of what they read on our website. The Healthy Smiles website is actually fairly extensive; we have many blog posts and pages for our different services, as well as our cosmetic cases. But what truly keeps our audience engaged in the website is our unique narrative – every word on that website is actually written by me, Dr Ved Berani, Principal Dentist at Healthy Smiles. I don’t outsource my copywriting to a contractor simply researching on Google and writing what he/she thinks is best; I actually write up every word so my patients know that whatever they see on my website is genuine and from my heart. I believe in what I do and focus on outcome-based dentistry rather than problem-based dentistry, which creates a special connection with new patients who have come into my practice and commented on liking what they saw on our website. The most common feedback we have received is patients reading what I have written on our website and liking the upfront honesty, which is one of their reasons for visiting us. Another reason why patients choose our practice is the value for money we provide. Some patients actually shop around looking for the best prices and even come into my practice with a piece of paper with a list. They ask for quotations for getting a certain number of crowns or implants done, or Invisalign, or any other service they are looking for. 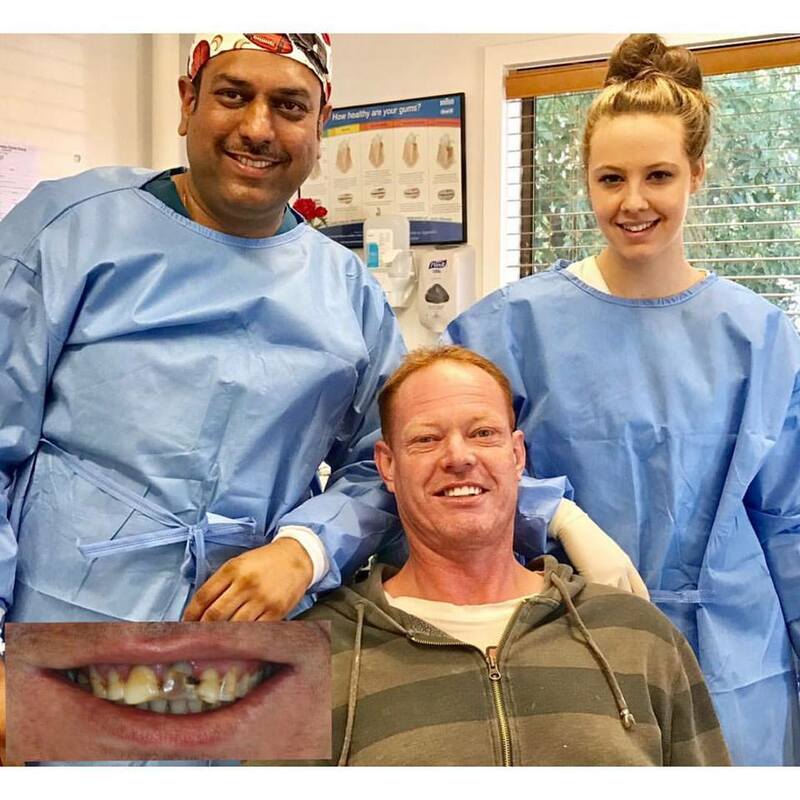 I often look at them and let them know upfront that the list of quotations they have are immaterial to me, because for me the fees I charge are professional fees determined by the average fees of dentists in all of Melbourne, Victoria, and to a larger degree all of Australia. While our fees are not the cheapest and we’re not a half-priced dentistry practice, we’re not the most expensive either. Across the board our fees reflect the average dental fees, for which our patients get the highest quality of dentistry and that’s a promise because we stand by what we do. We tell our patients right from the start that we’re not there to give them a temporary solution. If a treatment or service doesn’t work for them, we own it and take responsibility if it’s our mistake, and we replace or repair any work that has been done for our patient for a period of 10 years at no cost to them. Now that’s an explicit guarantee that we give all our patients for any major work we do whether it is cosmetic veneers, porcelain crowns, bridges, implants, Invisalign, orthodontics, whatever else it might be. And that gives our patients a sort of assurance that if something goes wrong, all they have to do is pick up the phone and give us a call. It’s a no questions asked policy. We don’t have such cases often, which is the reason we give that guarantee quite explicitly. The laboratories we use are fully trained, Australian-based and provide work in accredited facilities with a strong focus on quality. This is why probably only one case out of 800-900 I’ve worked on fails on me for whatever reason. It could be a patient mistake or a manufacturing defect, but whatever reason it might be there’s hardly any problem for me because all it takes is half an hour to get that turned around. Not charging patients for these sorts of fixes provides them with the reassurance of being cared for by my practice, which has led to even more patients visiting us through word of mouth. Finally, one of the main reasons why patients choose our practice is sleep dentistry. We are one of the few practices in Melbourne that actually provide a full suite of sedation dentistry options to our patients from oral sedation to inhalation sedation such as laughing gas, Penthrox which is a green whistle, intravenous dentistry, twilight dentistry and general anaesthetic. We run these services regularly in our practice with specialist anaesthetists on an ongoing basis, so we can provide these sleep dentistry appointments at short notice to our patients – even within a week or two rather than having to wait for a couple of months. This is one of the reasons why a lot of patients travel long distances as well to come see us at our practice. For many existing patients as well, if they have been trying to deal with their anxiety for a long period of time, this prompts them to take the next step in fixing their teeth for the long term. We truly are extremely happy that we are able to provide that service in our practice as well. Apart from all these reasons, we’ve obviously got the blankets, the beautiful LCDs, the aroma therapy, the calming music with wireless headphones, the gentle touch and all of the things you’ll find on every other website. We do provide all that and take a lot of pride in ensuring our patients are cared for like babies in the dental chair. I think all that is a given – I mean why wouldn’t you do that for your patients in a dental practice? They don’t come to a dental practice expecting fun so whatever you can do to make their experience easier a real advantage. Healthy Smiles Dental Group – your trusted dental clinic Australia definitely provides all these, which simply reflect our standard of care in making our patients as happy as possible. Over these two posts, I’ve shared the top reasons our patients cite for visiting our practice. If you’d like to know more about the Healthy Smiles experience, feel free to give us a call on 03 9877 2035 or email us at info@healthysmiles.com.au we’d love to help you out with any questions you may have! Thank You, I am really amazed with the performance of healthy smiles dental group. Good Luck, Keep on working !